Times are changing and some once semi rural towns of Adelaide are becoming an extension of the more fast paced suburbs. 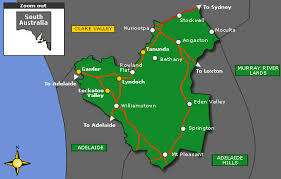 Residents of the Barossa and other semi rural areas would be used to paying a little extra for many services not offered by the locals. Hopefully this will make the process not only simple but affordable too. SMART Paintworx are a South Australian owned & operated business, excelling in the field of S.M.A.R.T repairs for over 8 years. When it comes to mobile paint repairs in Adelaide, SMART Paintworx are here to make the process a breeze. Along with outstanding service and repairs we offer a lifetime owners warranty on all panel repairs. All repairs are completed to the highest possible standard giving you the peace of mind to know you’re in safe hands. For the purpose of getting a quote you can send your images through to us via our website, email or phone. Repair times can vary dependant on each job. Most repairs are completed within just a few hours per area of damage. What do we require to do repairs? Whether it’s Metro Adelaide or Barossa dent and scratch removal we have 3 main requirements. In the event that you can’t accomodate all 3? Don’t worry, we can generally work something out. Access to Power – Technicians will require direct access to power to undertake the repair. Private Off Street Area – Local councils will not allow S.M.A.R.T repairs to be carried out in public areas without prior consent. Therefore, a private off street area will be required to carry out the repairs. eg driveways, private business car parks providing they’re on the quiet side. Undercover – Repairs will need to be carried out undercover if rain or extreme heat is expected. Maybe you could book in to our workshop in Pt Adelaide or ask a friend or family member to use their garage if your premises isn’t suitable. Payment – Customer can choose to pay by cash or credit card on completion of the repairs. The technicians don’t carry change so we do hope you can have the correct payment amount when paying with cash. SMART Paintworx are available to all our new and returning customers from Monday to Friday between the hours of 8.30am & 4.30pm. The only issue I can see with sending the technicians to the Barossa, they might not want to come back. Wineries boasting some of the very best Australia has to offer could be a little distracting for the wine loving Spray Painters. So, that being said, cheese platter anyone?? This entry was posted in Barossa Scratch & Dent Removal and tagged Barossa, dent repair, scratch repair. Bookmark the permalink.